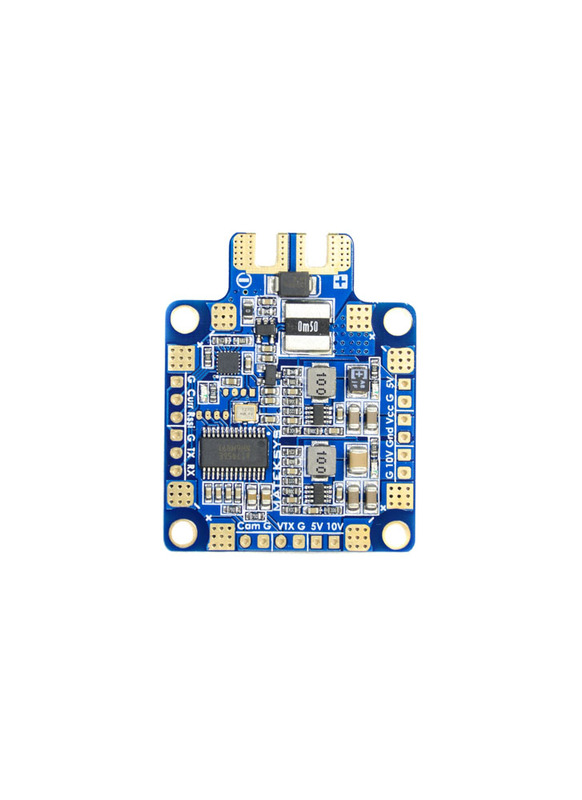 The Matek HUBOSD8-SE is a fully featured well designed PDB for FPV racing drones. It is a multifunctional HUB with 4 channel PDB, dual BECs, a current sensor and a plug and play integrated OSD. The PDB can provide power up to four ESCs rated at 30A per channel and compatible with 3 to 6S LiPo batteries. The BEC outputs provide 5volts at 1.5A and 10volts at 1.5A, while the built-in current sensor measures up to 184A. Note that the 10V output can be used to power 12V cameras. The new, built-in STOSD8-SE (OSD) is integrated into the PDB and therefore super easy to use as it doesn't rely on a connection to you FC; it's totally independent. It supports lots of functions including auto battery cell detection, low voltage alarm, current draw, automatic flight timer, onscreen pilot ID and more. The OSD function can be used without any programming, but if you wish to change any of the default settings or enable functions for example the pilot ID, there is a very simple GUI - download here (you will need a FTDI USB programmer). The PDB is well designed with corner mounted ESC power connections for a neat installation and easy to solder power input.